Starting 14 of Arsenal’s last 18 fixtures, Rob Holding’s impressive run of form has been a really promising aspect of Arsenal’s 22 match unbeaten run, which has now come to an end. While there’s been the odd mistake, he’s gone about his work with clarity, composure, intelligence and the right amount of physicality when required. Clearly relishing life under the mentally stronger and tactically more defined tutelage of Unai Emery, Holding’s vindicated the Gunners’ decision to not send him out on loan in the summer. 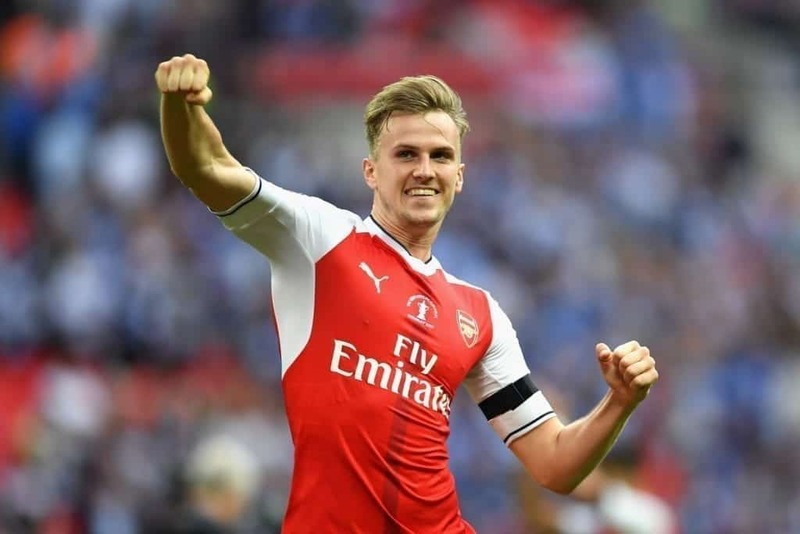 “In pre-season, every player had chances to show us how they play and little by little, with his work every day, I think Rob Holding is improving, he is taking confidence and with confidence he is at his best,” Emery said. Devastatingly, however, right when he was establishing himself as a starter the centre-back cruelly suffered a nasty knee injury vs. Manchester United that will keep him on the sidelines until next season. At the peak of his powers and definitely in contention for an England call-up too, the injury couldn’t have come at a worse time. The Gunners will undoubtedly miss his composed, measured presence, for his multifaceted skill set has seen him handle the majority of obstacles that he’s been confronted with assuredly. Undertaking his marking assignments diligently and with fine awareness and concentration, he’s done an admirable job of making life as uncomfortable as possible for his opponents. 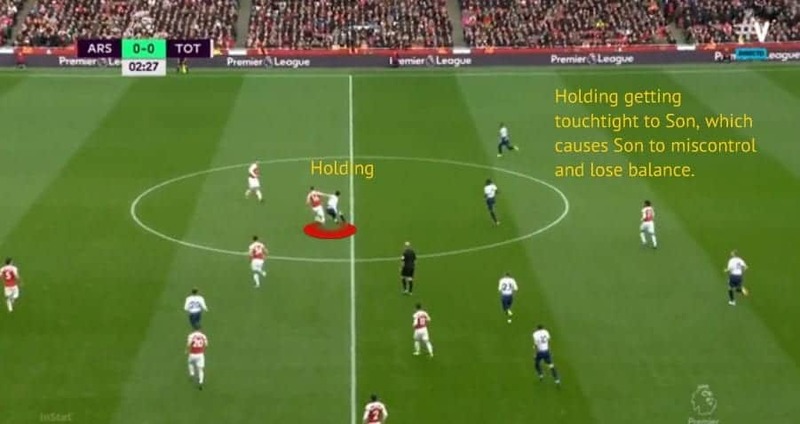 He’s gotten touchtight to his man whenever they drop deep, with this pressure often forcing his target into an unclean first touch, miscontrol or turnover while also crucially not giving them room to turn. 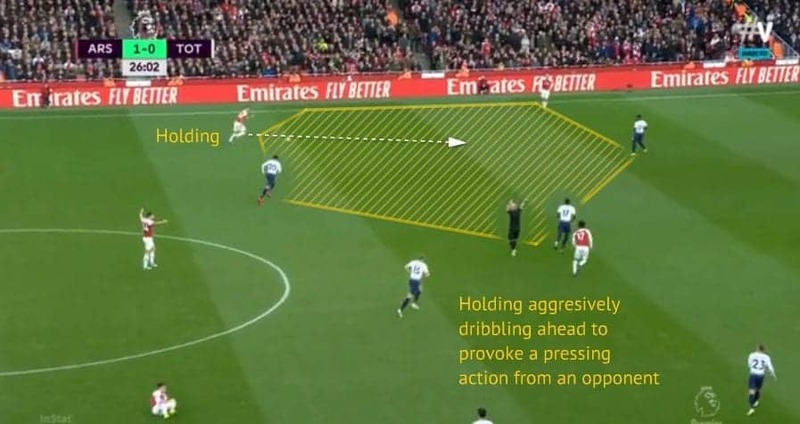 Some further examples of him responding sharply to pressing triggers have arisen when he notices his man receiving in an open body posture, following a particularly sloppy first touch or if they are about to receive an underhit pass. Alert to markings crossovers, runs in behind his nearby wing back or full back, when a defensive partner needs support or in an instance when a runner breaks through from midfield, he’s been wide awake to his surroundings. 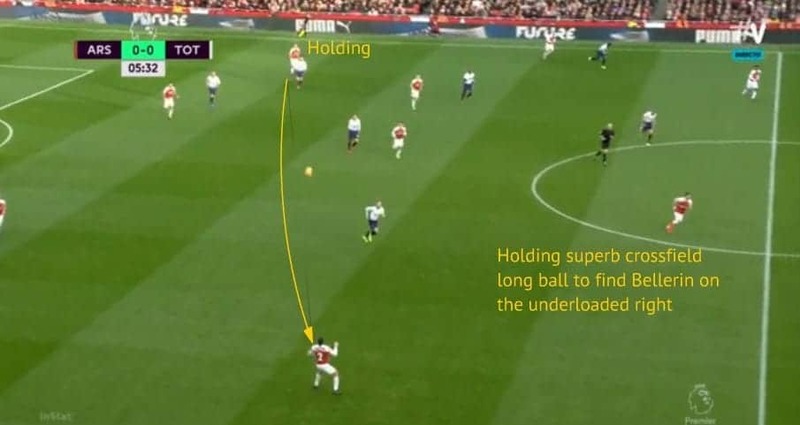 The former Bolton Wanderers prodigy has translated his sound decision making into his positioning when Arsenal have defended high, low or in a mid block. 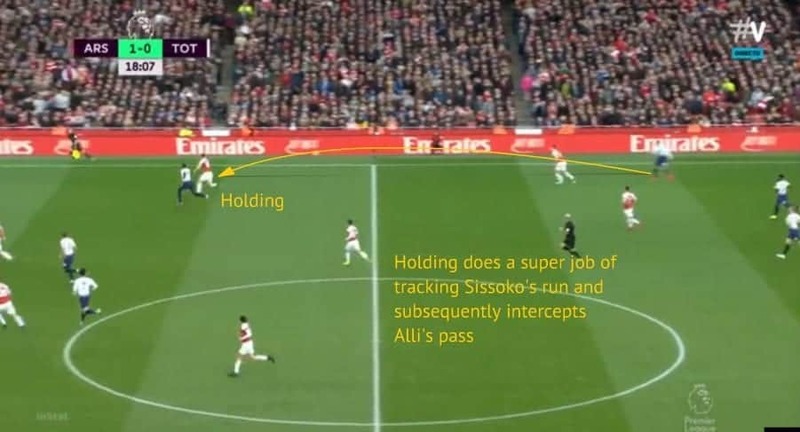 Exercising sound judgement and showing neat relationships with his defensive colleagues, he’s taken up usually sound positions in correlation with his teammates to make sure the Gunners’ rearguard is spaced desirably. Although there’s still work to be done in this area, the way Holding and co. have cohesively pushed their line higher when necessary, dropped back, shifted laterally and kept their spacing to remain as compact as possible has been a positive. Balanced and strong, Holding has exhibited his ability to win his fair share of aerial duels, for he’s held his ground well and picked up the ball’s flight quickly to give him the best chance to outfox his foes. In addition, his capacity to block lanes for cutbacks from out wide or from the edge of the box has served as a testament to how shrewdly he’s picked up the ball’s trajectory and responded accordingly. Meanwhile, when it’s come to applying any interventions, the Englishman has done so with crisp execution and timing. Only conceding 0.7 fouls per game, Holding’s thoughtfully and securely nipped in to win possession while often keeping his feet, for he’s not one to recklessly rush in unless he vehemently believes he can win back the ball. Exuding plenty of calm in possession, he’s been a real asset to Emery’s men when they’ve built out from the back. So relaxed and seemingly unfazed by opposition pressing, he strokes the ball around with confidence to help bypass his enemies’ best efforts to win the ball high. Hitting his passes with ideal weighting for his teammates to control and usually distributing the ball to his intended recipient’s preferred foot, his comrades must enjoy playing alongside him. What’s more, his range of passing is another bonus, as he’s equally adept at finding attackers with vertical line breaking passes, playing nifty dinks over the top, spreading the play with his customarily wicked crossfield diagonals or recirculating the ball while patiently waiting for a viable outlet to become available. Also comfortable at carrying the ball upfield, if an opening to do so presents itself, he’ll more often than not make the most of this. 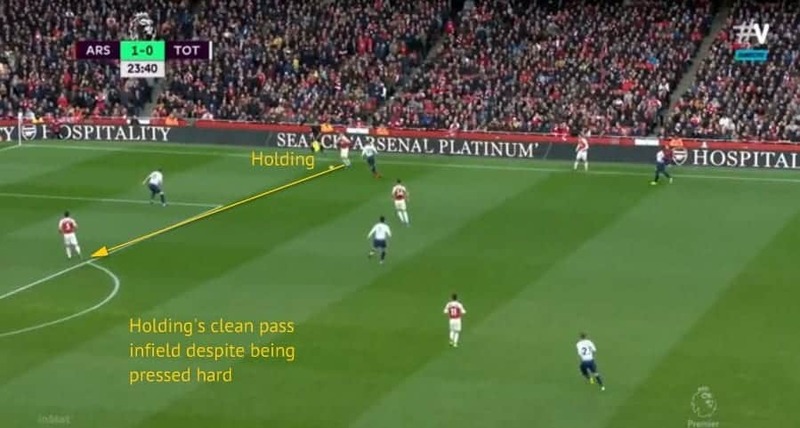 In these cases, he’ll look to drive ahead and hope to provoke an opposing midfielder into pressing him, in order to create a free man or vacant passing lane further upfield to progress his team into the offensive third. A handy weapon on attacking set pieces due to his athleticism and timing to boot, all of the afore amalgamates to make him a notable contributor in this phase of the game. Statistically, his numbers punctuate his quality, for he’s completed 1.9 tackles per game at 100%, won 2.5 aerial duels pg at 77%, chimed in with 5.3 interceptions pg, made 5.7 ball recoveries pg and completed 54 passes pg at a 92% clip. With all this in mind, his injury is unquestionably a massive blow to him and the Gunners, who will miss his presence within their backline. The focus for him now will be to recover as quickly as possible at get back to his best sooner rather than later. Possessing immense mental strength, professionalism and an exemplary attitude to overcome such a setback, expect him to return in fantastic condition ready to recapture his best form.